Ted Cruz will join Donald Trump on Monday night at a Texas rally, just over two weeks before Cruz faces off with Democratic opponent Beto O'Rourke, reports Bloomberg. On Friday, Trump tweeted: "Beto O’Rourke is a total lightweight compared to Ted Cruz, and he comes nowhere near representing the values and desires of the people of the Great State of Texas." 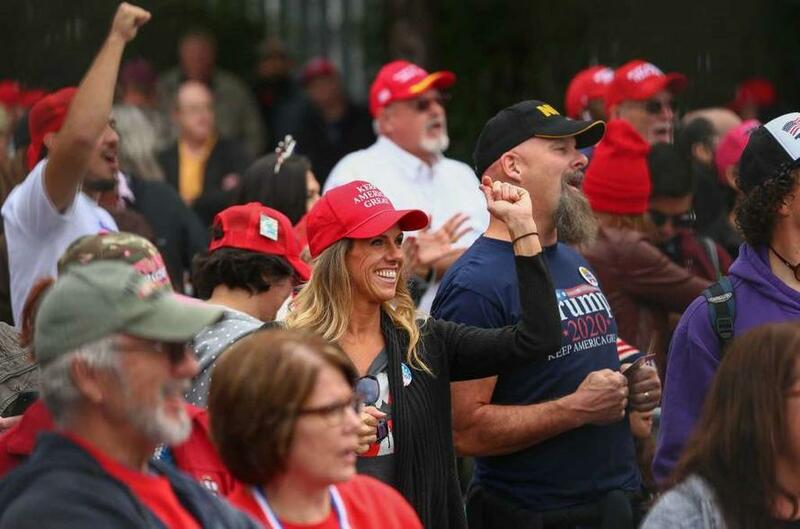 A sea of mostly red-clad President Trump supporters flooded closed-off streets around the Toyota Center Monday morning, hours ahead of the president's rally here with Sen. Ted Cruz, R-Texas. Many attendees drove from hours away, foregoing sleep to line up overnight as they sought to ensure a spot at the rally. The arena seats about 18,000 people, far less than the reported demand for the event. Trump and Cruz, former adversaries, will try and energize Texas republicans just two years after Trump dubbed the Texas Senator "Lyin' Ted" during the 2016 election. 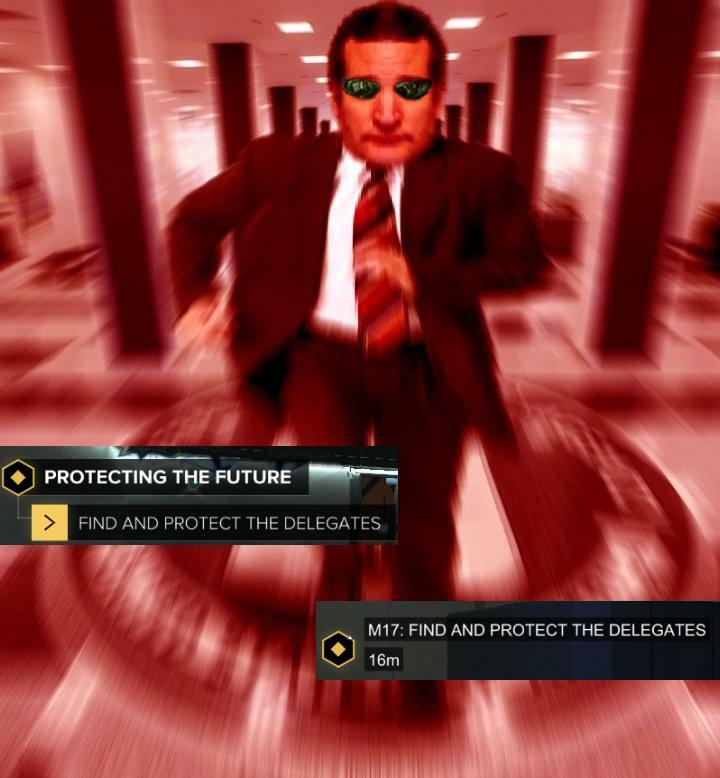 Cruz, in turn, called Trump "sleazy Donald" and a "sniveling coward," only endorsing Trump after he was booed off the stage at the Republican National Convention for insisting that people "vote their conscience." 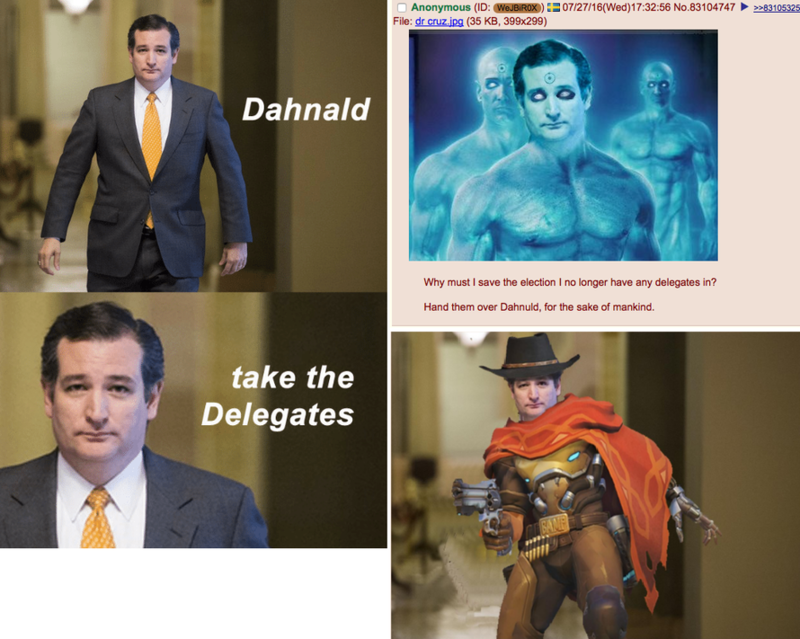 Cruz's change of heart in deciding to ultimately support Trump inspired several internet memes in which Cruz recognizes Trump's alpha status, gives him his delegates, and turns into his errand boy, among other things. Bloomberg is suggesting that the Cruz-O'Rourke race is a referendum on Trump, writing: "Despite the statewide advantage for Cruz -- and even though Trump won Texas in 2016 over Hillary Clinton by 9 points -- some Texas Democrats in competitive big-city congressional races are linking their opponents to the president, seeing benefit in making their campaigns a partial referendum on Trump." No Democrat has won a statewide race in Texas since 1994. The White House and Cruz say there is no real alarm about the Senate race, insisting Monday’s rally was discussed since early this year and shouldn’t be taken as the president riding to the rescue. That said, between Beto's awkward dabbing and skateboarding, while his supporters bob around like cringe-magnets to a Betoized "YMCA" - Ted Cruz better watch out in just over two weeks. "Beto is banking on the young and minority voters, typically the least inclined to vote," said Rice University political scientist, Paul Brace, who added that O’Rourke "seems to be doing an uncommonly good job of generating enthusiasm."